In our previous blog post, we shared tips, tricks and tools to successfully knit a lace project (click here if you missed it). On today's post, we'll share how to finish your project with professional results. There are a few ways that you can finish your project - using steam, spray blocking or wet blocking. Most knitters and crocheters have a personal preference for one or the other, and today we'll focus on wet blocking a shawl project (though our instructions can be used to wet block just about any finished project). 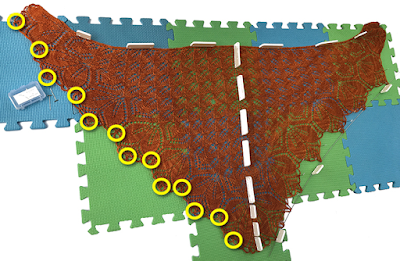 You can view a tutorial for spray blocking a lace project here on our blog archive. First, assemble the supplies you'll need: a small basin or tub, no-rinse wool wash, a few fluffy towels, tape measure and Knitter's Pride Blocking Mats, T-Pins, Wires and Knit Blockers. Fill the tub or basin with tepid water and a small amount of your wool wash. Gently add your finished project and immerse in the water for about 10-15 minutes. Carefully remove your project: this is where a no-rinse product comes in handy, because you don't have to risk felting by washing out the soap. Instead, allow the water to drain out as you take care not to wring it. Lay it flat on a dry, fluffy towel and gently roll up to squeeze out excess water. Repeat, using a fresh towel, if necessary. Most hand wash instructions say "lay flat to dry," but for a project which requires specific dimensions or features a stitch pattern that looks best once it has been blocked in a certain way, this is the most crucial step: your project will take whatever shape you dry it in, so if you toss it on your blocking mats and leave it be, it will dry - wrinkles and all. Begin with a straight edge; for some shawls, it might be the top, or in the case of this tutorial, the midline. Secure this straight edge with Knit Blockers, using the tape measure to make sure that your shawl has the dimensions listed in the pattern. Allow to dry, then enjoy wearing your creation! Congratulations to patricialonnie, you have won this month's blog giveaway! 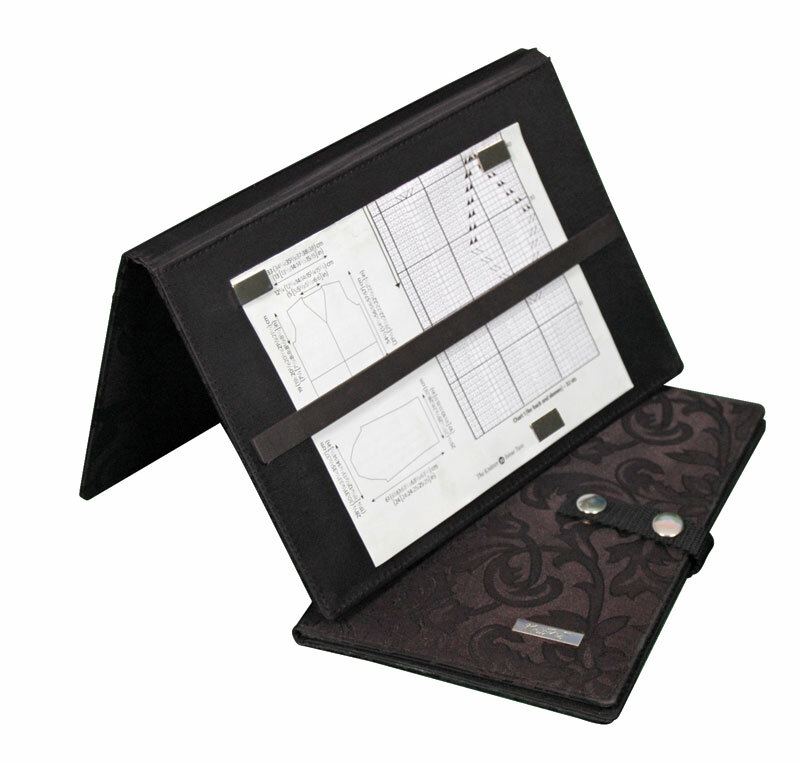 We will get in touch with you shortly to arrange for the delivery of your Nova Platina Cubics Deluxe interchangeable set. Be sure to add our blog to your reader for more great tutorials, designer interviews, and giveaways! Do you like to knit lace patterns? Are you a chart reader or do you prefer row-by-row written instructions to render your arrangements of negative and positive space in yarn? In this post, we’ll show how Knitter’s Pride interchangeable needles and other tools can make your lace knitting project even more enjoyable. First, some clarification. There is a general consensus in the knitting world that “lace knitting” refers to patterns that employ yarnovers (yo) on one side only, with a rest row (usually purl) between pattern rows. However, “Knitted lace” employs yarnovers on every row, creating open areas with single, untwisted yarn between them. Both are more complex than knit and purl patterns or cable work because the number of stitches on the needle can vary row to row. Keeping track of where you are in the pattern and keeping the work on your needles in pattern are challenges for new and veteran lace knitters alike. Executing the pattern correctly can be yet another challenge. Having the right tools can make each of these challenges easier and your knitting more fun. Both lace knitting and knitted lace involve increasing stitch counts by adding yarnovers to create openwork effects in the finished piece, and then decreasing stitch counts by knitting or purling a number of stitches together. If you are creating nupps or bobbles, there may be as many as five stitches being worked in one maneuver, possibly through the back loop. To manipulate that many stitches, most knitters prefer a sharp tip on their needles with a long taper, the slope between the tip and where the needle’s full diameter is reached. Such a preference usually means that the knitter chooses a metal tip. On the other hand, lace patterning is often knit in luxury fibers like fine merino, alpaca, silk, cashmere, qiviut or blends of these fibers. They can be much more slippery than a basic wool or wool-blend yarn. To compensate for this, some knitters will want the more “grabby” surface of wood or bamboo on their needles. 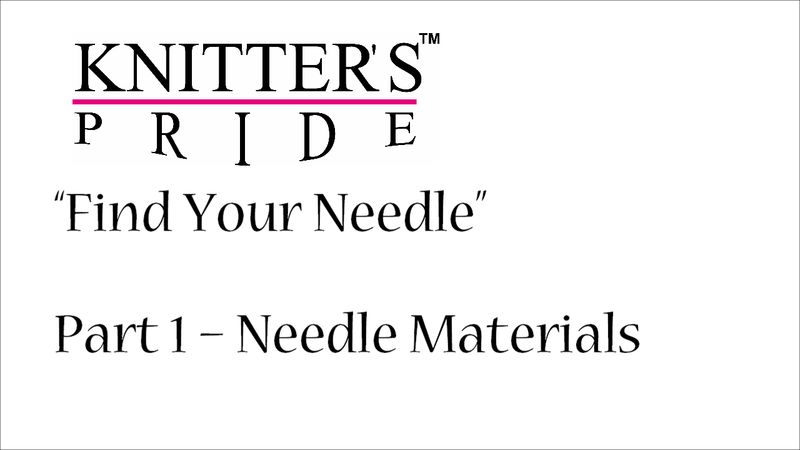 Knitter’s Pride Karbonz interchangeable needle tips combine both of these desirable qualities. The carbon fiber tips are warm and flexible like wood or bamboo, but their nickel-plated brass tips provide that taper and sharpness for working many stitches at the same time. The combinations of yarnovers and decreases in your knitted piece make correcting errors more difficult than just frogging back. If your pattern is lace knitting, taking it back to the “plain” row and checking your stitch count is often a good solution. If everything works out in terms of stitch counts, and both your horizontal and vertical pattern repeats are accurate, now is the time to run a lifeline through your work. In knitting, a “lifeline” is a thread that holds an entirely correct row of stitches. If the knitter should make subsequent errors in the piece, s/he can frog it back to the lifeline row, get it back on the needles and begin knitting again. A lifeline row at the end of every correct vertical repeat of a pattern is especially helpful in knitted lace since it has no “plain” rows to offer a visual guidepost to the knitter. Make sure that your lifeline is a smooth fiber of different material and color than the yarn with which you are knitting. Believe it or not, dental floss is a good choice because it is sturdy and slick and most yarns will not cling to it. You can thread it through a darning needles and then run it through every stitch in your project currently on the cord of your interchangeable needles. Use the tightening holes in the ferrule of your tips to temporarily anchor your lifeline at either end. You can stair-step lifelines through your project as it progresses. When you complete another vertical repeat of your pattern, run your next lifeline and remove the one from lower down in the project. It’s kind of fun, too, because a lifeline is a visual reminder that you actually are getting this project knit. You can finish anything 12 rows at a time. A lot of knitters have firm opinions about what format they prefer to follow when knitting lace patterns. Some like line-by-line instructions that specify the actions to be performed on every stitch in a row. If they are well-written and don’t use confusing multiple sets of brackets and parentheses to indicate pattern repeats, written instructions can be fine. Other knitters, however, find that a charted pattern allows them to better visualize what the knitting should look like; it’s a more organic representation of how the stitches are being manipulated. In either case, keeping track of where you are in your pattern is essential to your success. If you are using a printed pattern, a holder like Knitter’s Pride Magma can help you follow where you are. The bar magnets can keep you focused on the right line of instructions in either a charted or written pattern, and you can prop it up at an easel-like angle to be able to monitor your pattern and your knitting at the same time. The last bit of advice we have for successful lace knitting is the liberal use of stitch markers. Using them to separate each repeat of a stitch pattern that appears multiple times across the width of a scarf is one of the easiest things a knitter can do to make lace success more likely. If you are working a project that has different lace patterns in different sections, you can color-code your knitting with different markers to keep yourself visually cued about which pattern you’re executing in any particular area. Between your stitch markers and your lifelines, you have created a gridwork that maps your knitting as you work on it. The way stitch markers are used in lace knitting varies from how they are used in garment knitting. Rather than reminding the knitter where shaping needs to happen, markers in lace knitting are delineating stitch manipulations that are repeated to create patterns. Lace is often knit from very fine (laceweight) yarns in luxury fibers. It’s important that your stitch markers are close to your needle diameter; you don’t want stitches to be able to slip under or over your markers and mess up your stitch count. They should also be a material that slips easily along your chosen needles and a different color from the yarn in your project. Multiple colors can help with demarcating distinct stitch patterns within a larger project. Lace knitting is a rewarding way to stretch your skills as a knitter. If you approach it with the right tools and a sense of adventure, learning to create beautiful patterns out of yarn satisfies the artistic impulse that lies within even the most practical knitter. Just as beautiful yarns give us a chance to play with color like a painter, knitting lace gives us a chance to play with negative and positive space like we are sculptors. Are you ready to give it a try? Leave a comment on this blog post telling us your favorite Knitter's Pride tool for lace projects for your chance to win a Nova Cubics Platina interchangeable needle set! Be sure to also include your Ravelry ID or email address so that we can contact you if you win. We will announce the winner on our next blog post on Friday, July 22. Good luck!